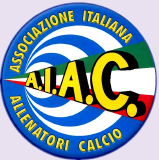 AIAC main Goals, export with each of our coaches, the italian "Football Soccer" ideologies and training systems by promoting the Football Soccer knowledge of technical, tactical, physical, social, cultural, fair play, educational and phsychological development of the young players. 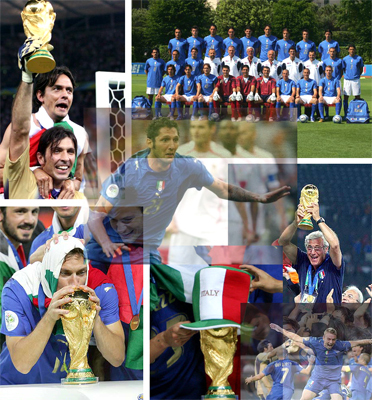 Reserve your Italian coach for your Summer Camps. 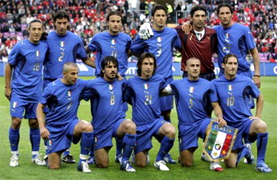 Italian Football Soccer Coaches: the Soccer Italian coaches, directly, to the Soccer and Football organizations in the USA, Canada, Australia, Middle East and Latin America. We offer customized football soccer camps and annual programs for your beginners and or professional football soccer team Become our PARTNER. The Italian Coaches Association (AIAC) are bringing the same techniques and training approach which made Italy football’s world champions to serious and passionate young players in the USA. Now you have the chance to be coached from the world champions directly in your country with camps, seminars, Master class or to support your event. 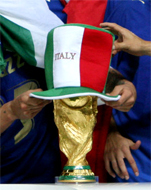 ITALY CAPTURED ITS FOURTH WORLD CUP TITLE - WE ARE THE WORLD CUP CHAMPIONS "FORZA ITALIA CAMPIONI DEL MONDO"